Have you considered a Bible journaling kit subscription but you weren’t sure if it’s the right choice for you? 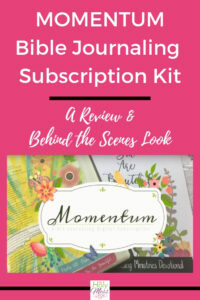 This blog post is an in depth behind the scenes look and review of Momentum Bible Journaling Kit subscription program. 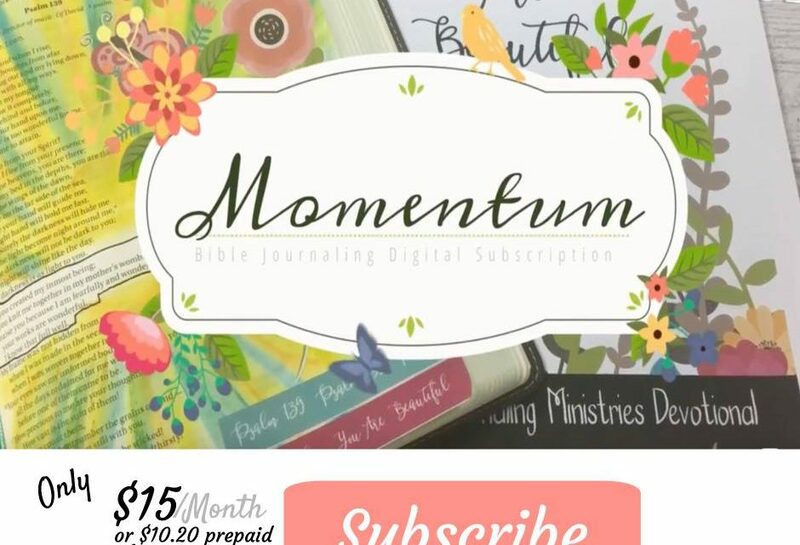 Momentum Bible Journaling monthly subscription is a digital program by Tracie of Bible Journaling Ministries. The way Momentum works is that you pay a monthly subscription fee. At the time of this writing (2019) the fee is $25 a month, or you can pay annually and save which amounts to $17 a month. Although I’ve been Bible journaling for a couple years, I just recently joined Momentum and wow, I was incredibly impressed with everything that is included. I asked Tracie if I could share a behind-the-scenes look at the program and she graciously gave me permission. Bible journaling is creative artwork in your Bible or companion notebook. Bible journaling has become increasingly popular in recent years as people are realizing this tactical way to express faith is especially meaningful. 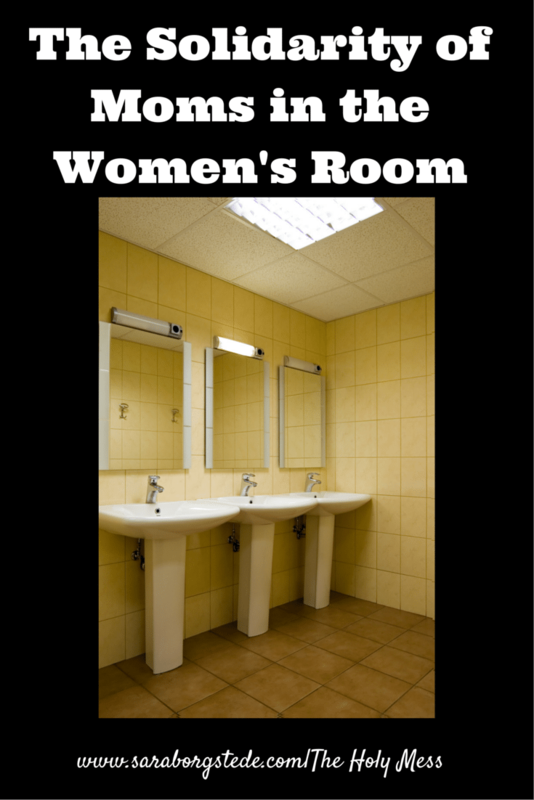 I’ve been teaching women about Bible jouraling here at The Holy Mess website for a few years and there are challenges I hear women express when delving into this artistic type of worship. They want to Bible journal more but don’t have time. Momentum addresses these issues. 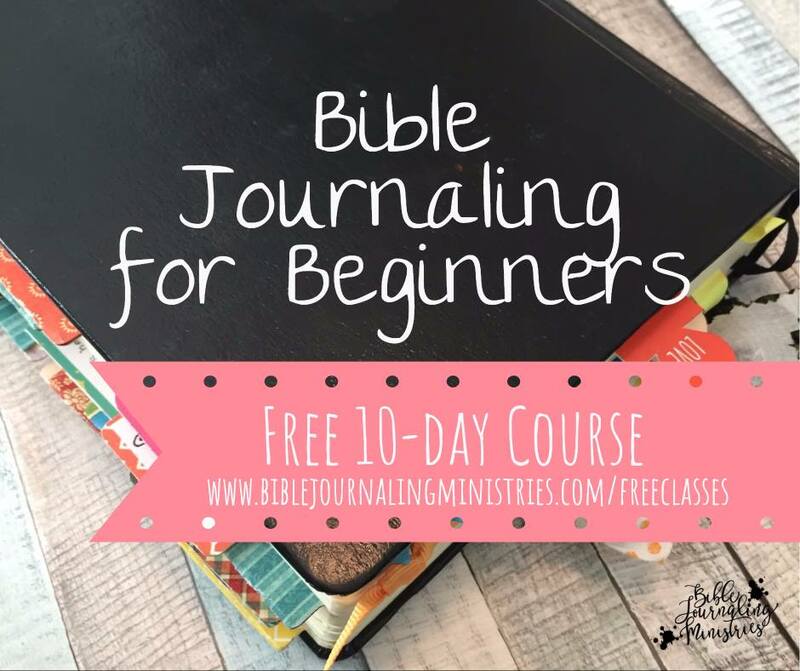 For women who are just getting started, I encourage you to join the Bible Journaling Ministries free 10 day course. 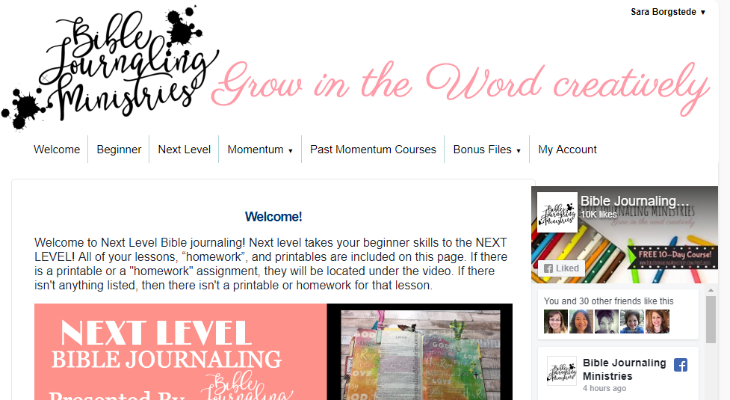 Each day has helpful video tutorials that walk you through the basics of Bible journaling. Also, when you join Momentum there is a section just for Beginners so you don’t have to worry that you will get started and be overwhelmed. Behind the scenes view of Momentum membership site. The second frustration women experience with Bible journaling is finding the time. Oh, how I hear you! 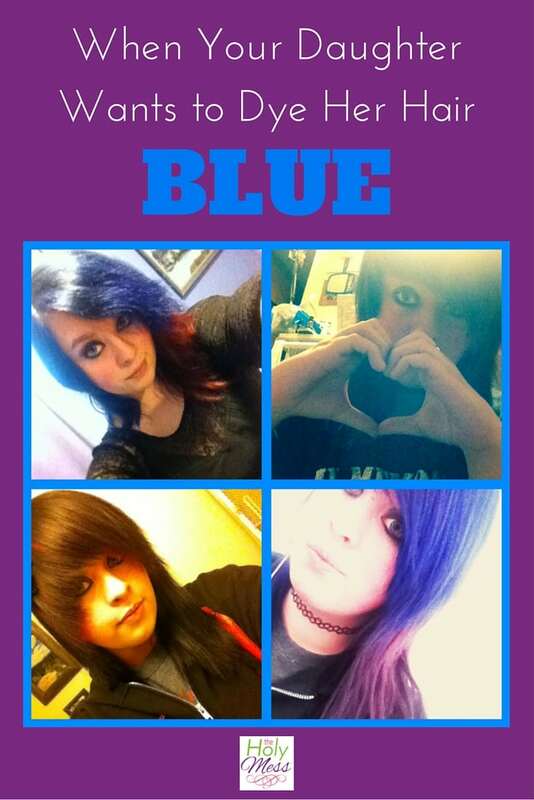 There are so many things pulling at us these days. Here is where Momentum really shines because everything you need is all in one location. Pull out your Bible journaling supplies, get your Bible, open your computer or smart phone, and you are ready to go. Momentum frees you from spending time searching Pinterest for ideas and gets you into God’s Word immediately. One aspect of Momentum that I especially appreciate is that Tracie lays out everything you need in one location. When she shows a technique on a video, she lists the supplies you need and any printables are immediately available for download. Here are answers to frequently asked questions about Momentum monthly subscription. Is Momentum good for beginners? Yes, Momentum is excellent for beginners. In addition to a specific section of the program just for beginners, Momentum also provides clear step-by-step video instruction for all their teaching. Is Momentum good if you’ve been Bible journaling for awhile? Momentum is great if you want to delve into more advanced techniques. There are videos about gelatos, gesso, stamping in your Bible, which pens don’t bleed through, watercolors, acrylics, and much more. Does Momentum about spiritual growth or is it just techniques? Momentum is designed to help you grow spiritually. 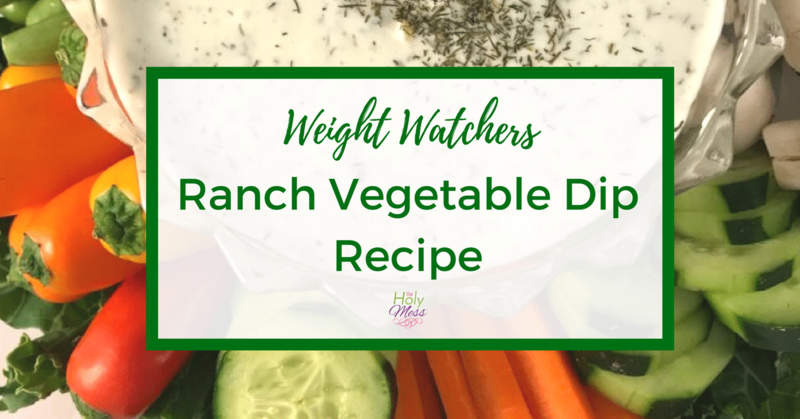 Each month Tracie releases a devotion that includes a packet of printable goodies, video teaching, and a journal-along-with-me video. The program also includes monthly Bible reading plans. Is Momentum worth the money? 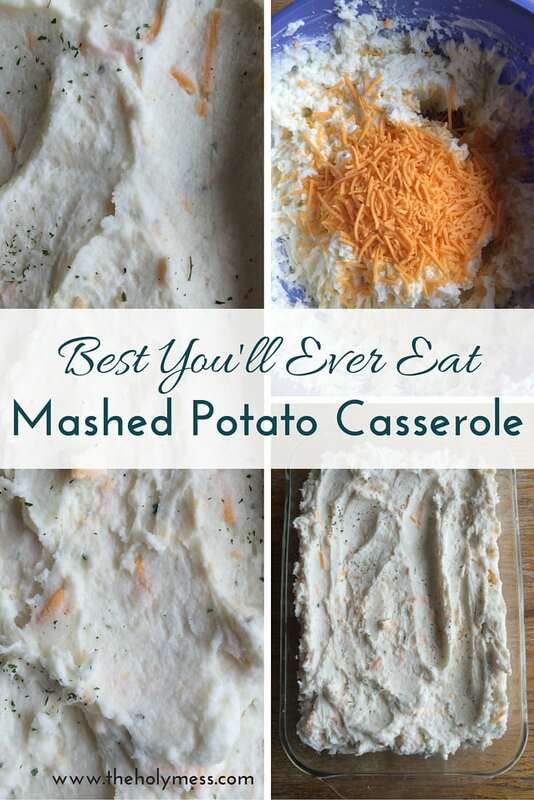 Here I say a resounding YES. There’s really no question Momentum is worth the cost. In addition to new monthly offerings, when you join you get access to all the previous lessons, hundreds of videos, and a huge selection of digital downloads. You get every single one of the 150+ items in the Bible Journaling Ministries store. Will I get a kit in the mail? No, you will get nothing in the mail. Momentum is all digital. Click here to join Momentum and get started today. 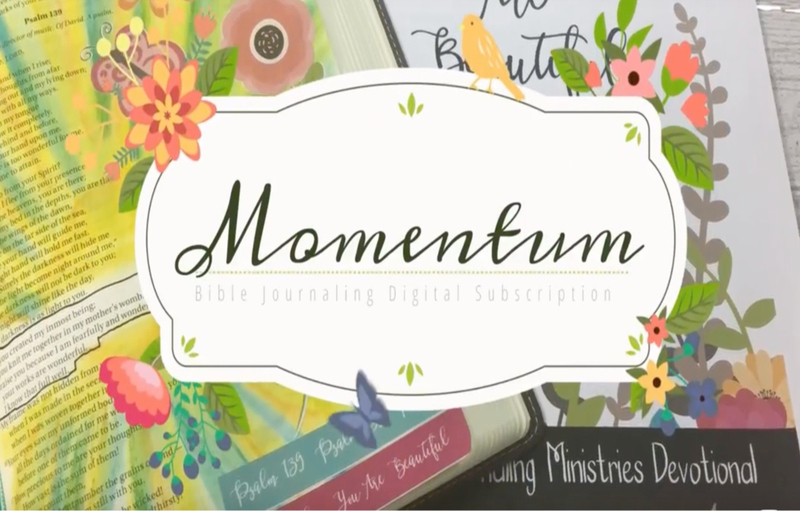 What’s included in the Momentum Bible Journaling Subscription? Lessons for advanced techniques like using napkins in your Bible, stamping, gelatos, and more. Access to 150+ items in the Bible Journaling Ministries store. What are the Disadvantages of Momentum Bible Journaling Monthly Kit? While Momentum is a wonderful program, it’s not right for everyone. When it comes to printing the items from Momentum, make sure you factor in the cost of printing. While you can print on plain white paper and glue items in, many of us prefer using full sheet sticker paper to make it easier, such as this Avery full sheet sticker paper. If you prefer a Bible Journaling kit with physical items that are mailed to you, we suggest you look at Creative Retreat (can be purchased separately or as a subscription), Illustrated Faith kits (purchased separately only), or this Bible journaling starter kit from Amazon. Overall, we recommend Momentum and know you will enjoy all it has to offer to make your time in God’s Word especially meaningful. Click here to check out Momentum today. Click here to join the Bible Journaling Ministries’ FREE 10 Day teaching series. Note – I was not paid for this review and all opinions are mine alone. I am affiliate for Momentum.